After you’ve gone through the lengthy and stressful process of finding your new dream home, it is time to turn your attention to how you are going to physically transport everything you own from your soon-to-be old property to your new one. This, too, can be an extremely stressful experience. And with transporting comes cleaning. Lots and lots of cleaning. If you have rented your soon-to-be former residence, you will need to have it as clean as it originally was when you first moved in. If you fail to do so, your landlord will have no option but to hire out a cleaner using your security deposit funds. Don’t let your landlord stitch you up; book your own SW17 end of tenancy cleaning service with us here at Colliers Wood Cleaners. Our trained Colliers Wood end of tenancy cleaning professionals will come into your home at a time and day suitable for you and leave it in a state which will ensure that you will not lose anything from your security deposit. So if you are worried about losing some of your deposit on account of uncleanliness, call us on 020 3743 8273 – our dedicated SW19 end of tenancy cleaning agents are waiting by the phones, waiting to answer any pressing questions you may have, as well as give you a free quote. You may be thinking if you have to hire out our Colliers Wood end of tenancy cleaning service, you might as well not bother as the price of hiring out a cleaner will most likely be comparable to amount you’ll lose out of your security deposit if you neglect your cleaning responsibilities. But this is not true; if your landlord has to find a cleaner on your behalf, they will have no concern for the price as they are paying with your money. If you book one yourself then you can get the best possible deal you can. And the best possible SW17 end of lease cleaning service can be found with us – our trained Colliers Wood end of lease cleaning professionals will have your home looking spotless, meaning your landlord will have no ground to deduct parts of your security deposit on account of uncleanliness. 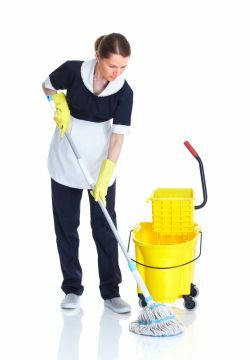 As you are in control of your money and not your landlord, it will prove far cheaper in the long run to sort out your cleaning needs yourself. Don’t give your landlord a reason to deduct, just call us on 020 3743 8273 to get a free quote on our Colliers Wood end of tenancy cleaning service. Our agents are standing by and are ready to give you a free quote, as well as answer any other questions you might have. An end of tenancy cleaning service is a perfect one for students. As students aren’t the cleanest bunch of people (no offence, but let’s not be afraid to call a spade a spade here), it should be of no surprise to you students to find your student home has become extremely dirty near the time of your move-out date. Student landlords will not hesitate to deduct parts of the security deposit, so, again, it is best that you sort out your cleaning yourself. Call us on 020 3743 8273 to do just that, our Colliers Wood end of tenancy cleaners could be at your property as early as tomorrow! Above are just a few reasons why someone might require our end of tenancy cleaning service SW19. There are, of course, a plethora of other reasons. Whatever your reason might be, be sure to call us here at Colliers Wood Cleaners on 020 3743 8273 – we could really save you a lot of time and effort in the long run.